I need help to confirm a situation related to the ARCM conventions. 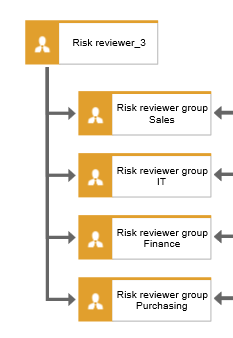 Once the risks in the processes have been identified, it is necessary to make the authorization digramas, which have Role objects: "Risk Rewier_3", "Risk Reviewer 3.01", "Risk Reviewer 3.02" and "Internal Person" (for each Reviewer). Based on this, all these structures will be imported into the ARCM, and if they are in accordance with the conventions, the profiles are defined in the ARCM. 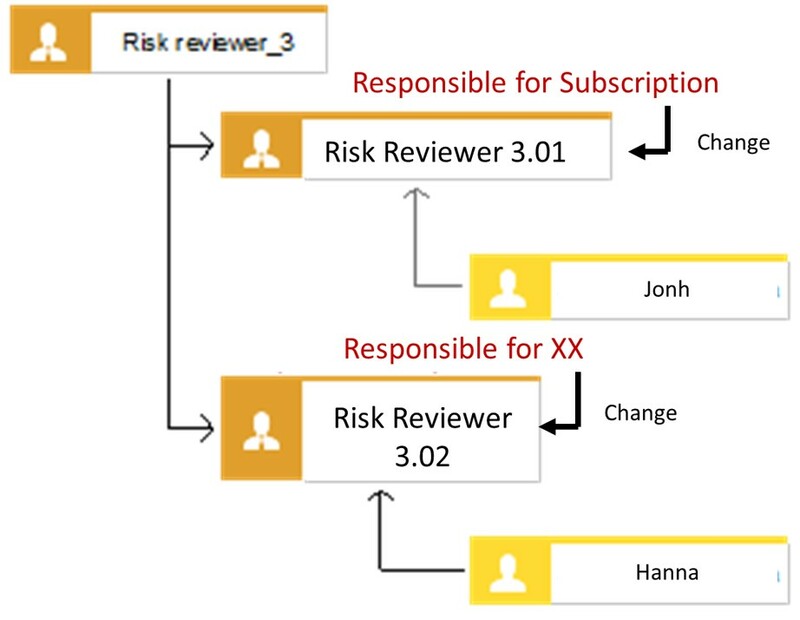 Is it possible to change the name of the intermediate structure "Risk Reviewer 3.01" and put something closer to the reality of the organization, for example "Responsible for Subscription"? Or would this go against ARCM conventions and would it make an error when importing the profiles? you are right, you can name and create as many role objects representing collections of users for the specific " ARCM Role Type" Risk Reviewer_3 as you need. But each of these role objects is can only be assigned to one single "ARCM Role Type". In our example, we have named the roles as combination of task and appropriate organization. So I'm going to change the name of that object. I was afraid ARCM might be reading the "3.01" encoding of the object, but by its example, I realize that there is a possibility of not keeping the object's name.